The railway lines of the West Highlands of Scotland are famous the world over for their illustrious history and unparalleled scenic beauty. Linking Glasgow with Oban, Fort William and Mallaig, the lines managed to survive the axe of Dr Beeching, whose infamous report forced the closure of almost a third of Britains railways in the 1960s. 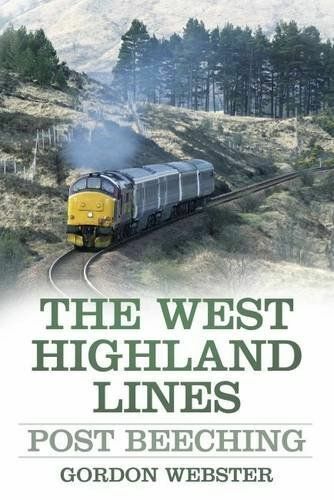 With a detailed look at the routes, their workings and rolling stock since then, Webster examines how the West Highland network has gone on to prosper to the present day. Despite Beeching, British Rails rationalisation, privatisation, fluctuating freight traffic levels and economic downturn, the network retained its unique infrastructure in the modern age. Today the use of modern traction, together with the return of steam-hauled trains, has added yet another dimension to this wonderful scenic route.